All about the secrets of Ving Tsun. Important Know How for all true Ving Tsun-Fighters. A Inspiration for all Styles. Wong Shun Leung Ving Tsun – Yes or No ? What is Ving Tsun Kung Fu ? Does your Ving Tsun look like Ving Tsun ? How do I become a formidable Ving Tsun Martial Artist ? What is Gwoh Sao and how does it work ! How do I bridge the Distance to my Enemy? Ten Points on why Ving Tsun does not work for some People ! Level Three – Theory "
personal thoughts and explanation of Ving tsun principles. 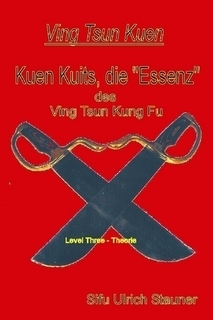 In addtion we have the Ving Tsun " Kuen Kuits " : Ving tsun "
teaching and explaning it . Sandro Castro Level One in Gary Lam/Ulrich Stauner Ving Tsun Kung Fu " 1.Feb.